For many EU nationals applying for either Pre-Settled or Settled Status in the UK, from the end of 2018 the process should be straightforward because the Government will check official data related to their previous tax and/or pension payments – and that should be enough evidence for a successful application. However, there will be quite a few people where the information gathered by the HMRC and the DWP will not be sufficient to show they’re residing in the UK – they will then need to provide documents which show they’ve been living in the UK. Individual’s circumstances will obviously be different, but the Government seems confident that most EU nationals who’ve been here for more than five years (i.e. applying for Settled Status) will need to provide a maximum of five documents. – their employer, confirming how long they’ve been working there? – a registered care home, stating how long they’ve been a resident? The Government has warned, however, that the above lists are being refined shortly, plus that other documents such as character references, wedding photographs, postcards or multimedia evidence will not be accepted as proof of UK residency. The deadline for applications under the EU Settlement Scheme is the end of June 2021, so EU nationals should have plenty of time to acquire the above documents if they don’t have them already in place. The Government has also communicated that there will be support available for vulnerable people, those who don’t speak English, plus people who don’t have access to computers as the application scheme will be online. Whatever happens, always remember that the Brexit Decoded Forum will be debating and updating all these Residency Document issues – as they arise and with unique insights from members who are in the same position as you. You’ll be asked to verify your identity by using the EU Exit: ID Document Check app during your application under the EU Settlement Scheme. Details of who is eligible are available on GOV.UK. 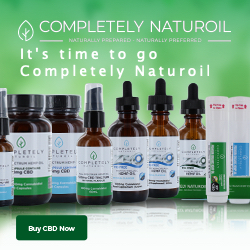 You’ll need an Android device with NFC (Near-Field Communication) to use the app. If you can use your phone to pay for things using contactless, this means it has NFC and you can use the app. The app will need access to your device’s camera. If the app does not prompt you requesting access, please enable access in your device settings. 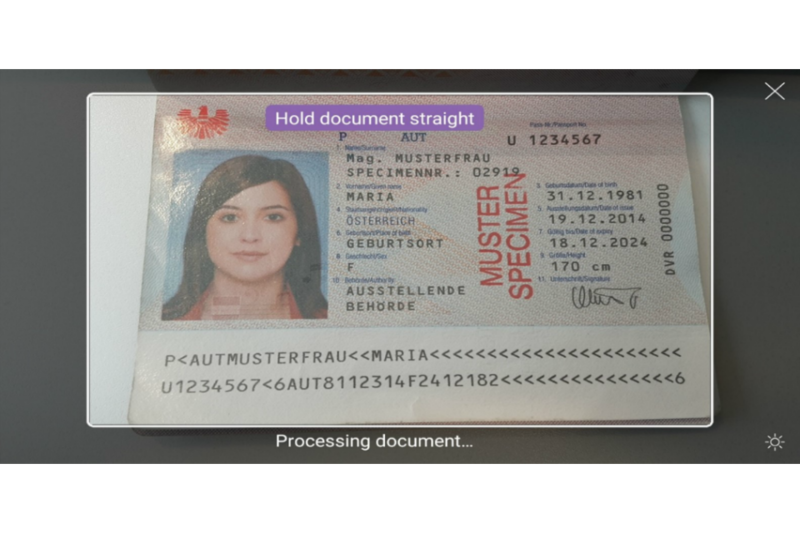 Scan the photo page of your passport using the camera on your Android device. The full page must be inside the frame, including the two lines of numbers at the bottom of the page. Make sure your phone camera is focused on the text on the page. The app will prompt you to adjust your Android device to make sure you capture your document effectively. These prompts will appear in a text box at the top of your screen. Remove any cases or covers from your document and Android device and make sure the volume is turned up. If the app doesn’t recognise your document, you should slowly move your device around the document until the app recognises it. You’ll hear a beep if your document has been recognised and the volume on your device is turned up. 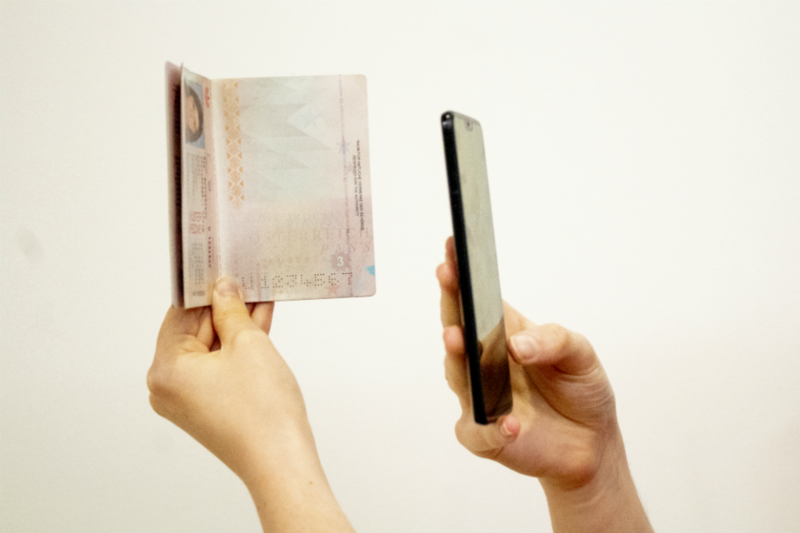 If you’re using a passport and you continue to have problems, place the phone on the reverse cover or the photo page. 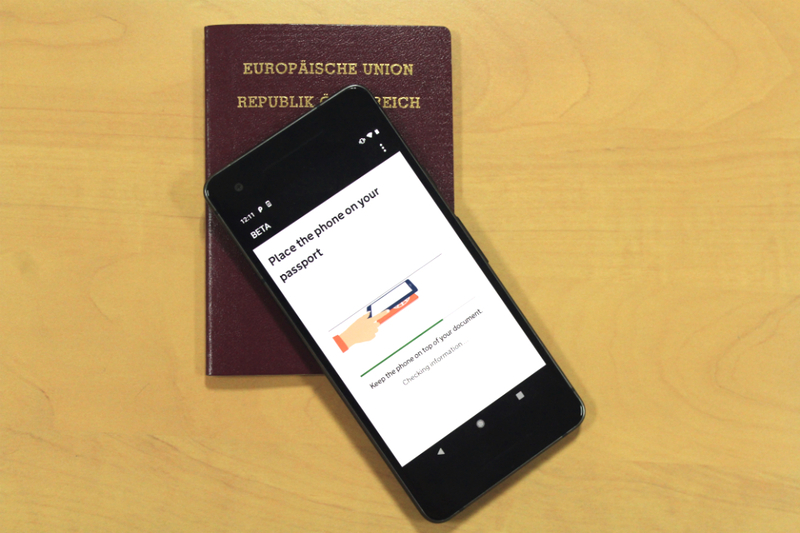 If the app is not able to read the chip in your document, we’ll ask you to send your passport to us for manual checking of your identity and nationality. Details of how you can do this are provided in the application. We’ll ensure that your document is returned to you without delay. The screen will flash as it scans your face. You should hold your device’s camera in front of your face until the scanning is complete. You can skip this step and provide different evidence to prove your identity if flashing light may cause you difficulties. You can do this by going to the ‘Find out more’ menu and selecting ‘Skip this step’. If you’re 10 years old or younger, you will not be asked to scan your face.